Ironlak RELOAD High Pressure 600ml CanRELOAD by Ironlak offers 600ml of high-pressure acrylic spray in a quick dry, high opacity, solvent based formula. RELOAD is a gloss black with superior coverage and UV resistance plus an advanced valve system for variable spray output. RELOAD minimized overspray and gives a wide spectrum of can control capabilities from super fast to medium pace, and ultra thick to medium width lines. 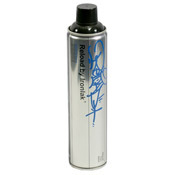 RELOAD by Ironlak offers 600ml of high-pressure acrylic spray in a quick dry, high opacity, solvent based formula. RELOAD is a gloss black with superior coverage and UV resistance plus an advanced valve system for variable spray output. RELOAD minimized overspray and gives a wide spectrum of can control capabilities from super fast to medium pace, and ultra thick to medium width lines.